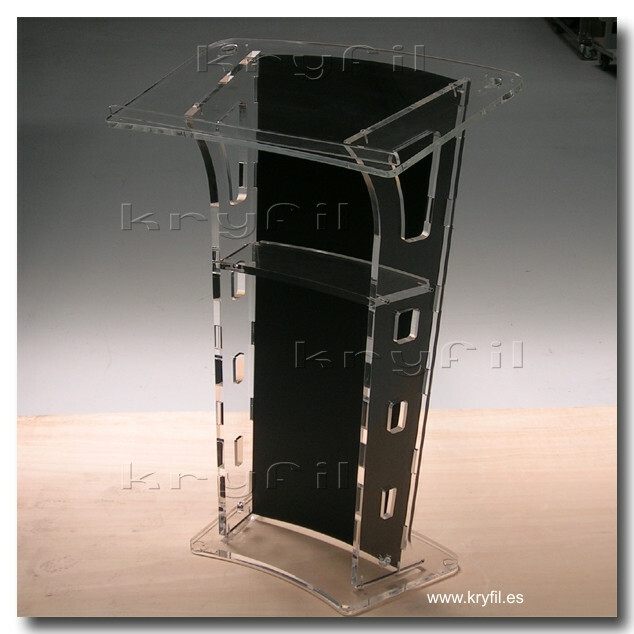 Acrylic lectern with a modern design. 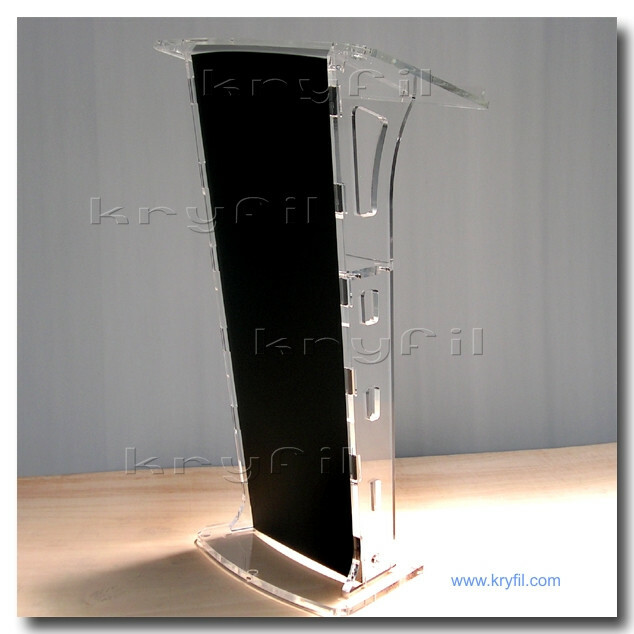 This podium is robust and elegant and blends well in any environment: conference halls, colleges and universities, events and presentations of any kind, hotel lobbies and restaurants and churches. Very stylish on stage. 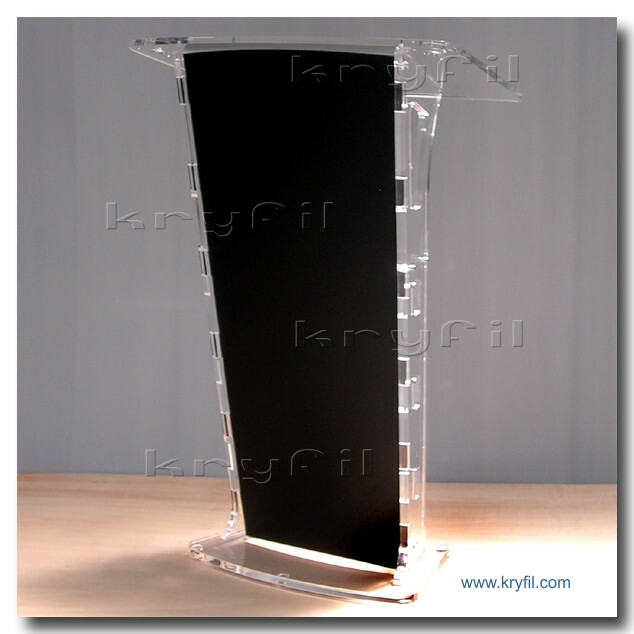 It’s worth highlighting the large surface of its top table of 80 cm in width. 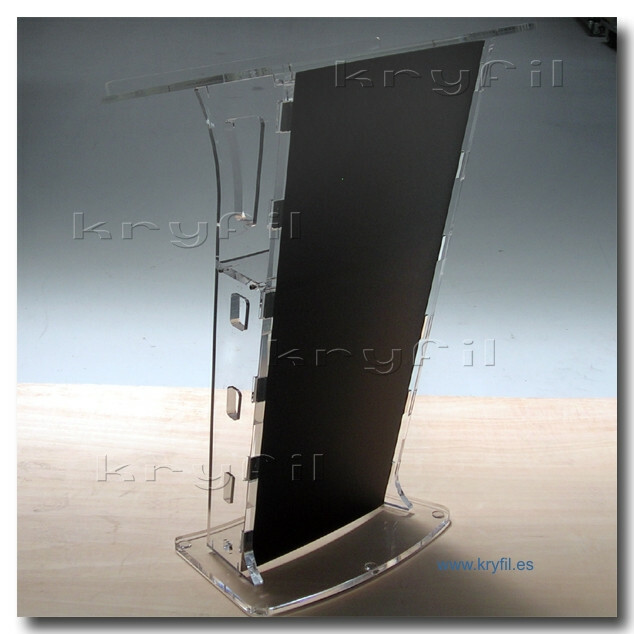 This lectern is suitable to be used by 2 persons at once on a layout with two speakers with the microphones placed in the corners of the table.